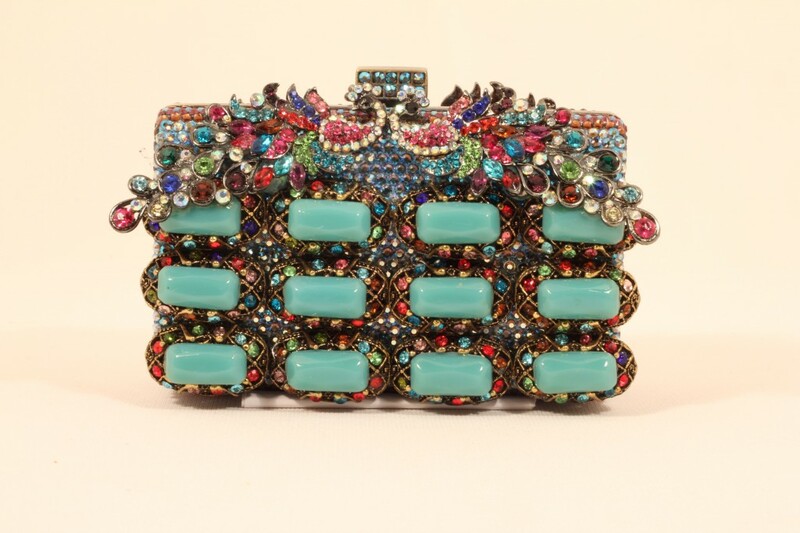 It’s an antique gold rectangular purse which has the base of turquoise multi color shade Swarovski crystals. There are red, turquoise and purple crystal stripes all around the purse. 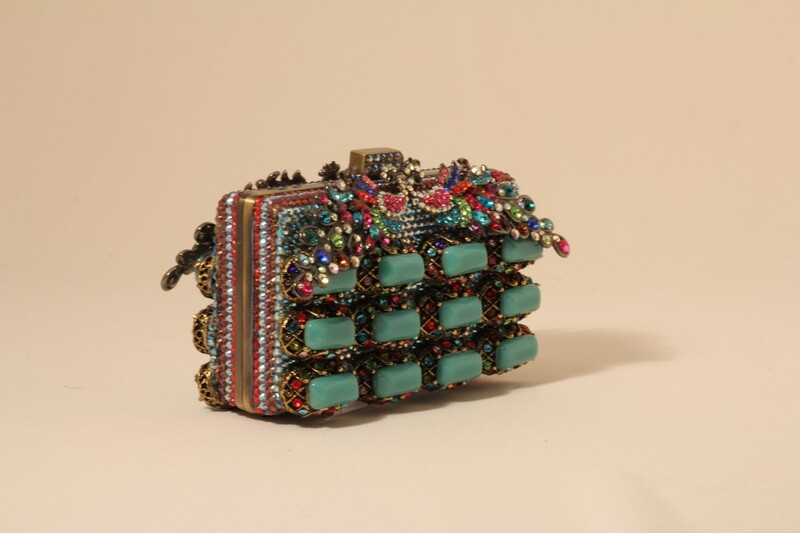 Front and back of this purse are same which are covered with twelve turquoise stones on each side and also these stones are surrounded with multi color stones. There are two multi color peacocks on each side close to the frame. 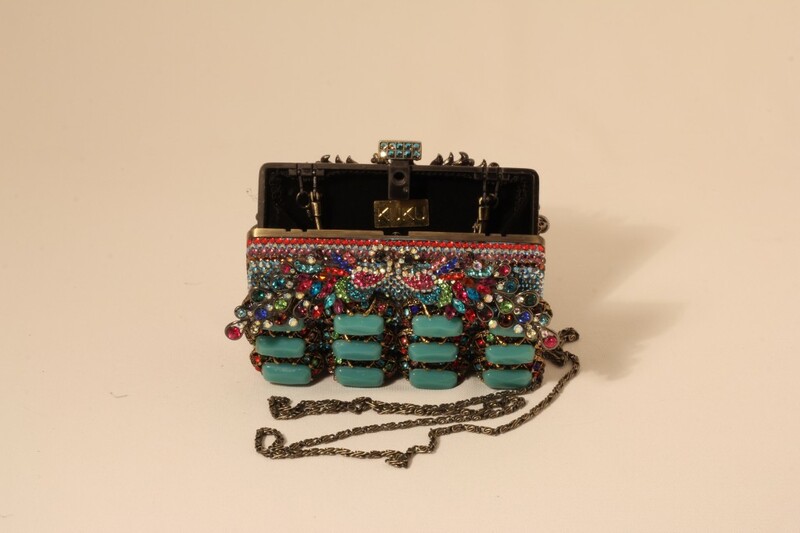 This purse is perfect for evening wear. It has gold compact mirror and pouch for the mirror and purse. Purse is packaged in custom made hard padded box along with a custom bag.